Quitting smoking is daunting due to the intense cravings for nicotine. Some people go through multiple cessations only to relapse time and time again. 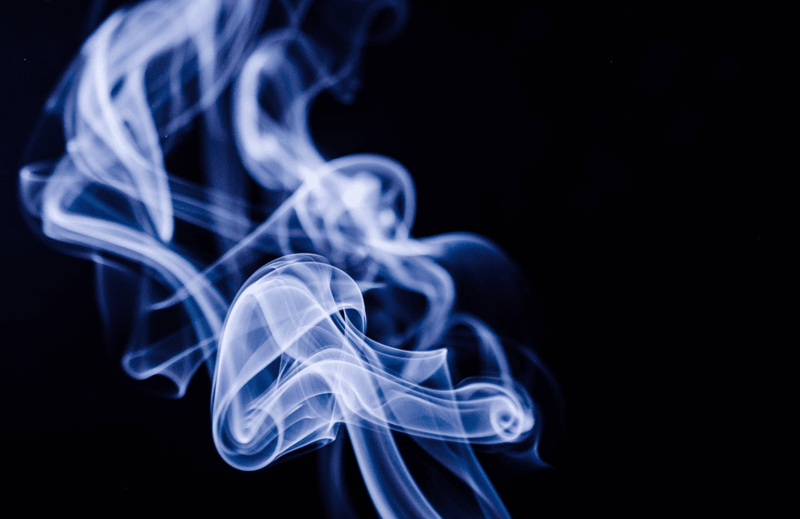 According to new research, inhaling pleasant odors may be enough to temporarily reduce the urge to light a cigarette, suggesting it could be a useful addition to effective smoking cessation strategies. In the United States, a much smaller percentage of the population smokes compared to 50 years ago. In absolute numbers, though, there are still about 40 million Americans who smoke. Cigarettes cause more than 480,000 premature deaths in the United States each year. Most adult smokers are not only aware of the risks they’re subjecting themselves to but would also like to quit. At least half of all smokers report having tried to quit in the past year, yet half of those who try relapse within two weeks. For most smokers, the pressure of nicotine cravings is like a psychological bungee cord that yanks those who try to quit back towards their lighters. Although nicotine is not nearly as intensely rewarding as other drugs such as marijuana or opioids, it’s an extremely addictive substance. Like other drugs, it stimulates the release of dopamine in neurons that connect the nucleus accumbens with the prefrontal cortex, amygdala, hippocampus, and other brain regions. Each time a person takes a puff out of a cigarette, the brain reinforces this behavior. The amount of released dopamine isn’t great compared to other drugs, but nicotine makes up for it through repetition — a person who smokes a pack of cigarettes a day typically is exposed to roughly 250 hits of nicotine. Over months or years, that’s a lot of reinforced behavior, which makes it highly difficult afterward to unlearn the mildly rewarding behavior of lighting up a cigarette. Long story short, nicotine cravings are high-wired in the smoker’s brain and are very difficult to control. But maybe taking a whip of a pleasant aroma might be enough to calm a smoker’s nerves, for a little while at least. For their study, researchers at the University of Pittsburgh recruited 232 smokers, aged 18 to 55, who at the study’s onset were not trying to quit nor were they using any alternative nicotine delivery system, such as vaping or gum. The participants were asked not to smoke for at least eight hours before prior to the experiment and were told to bring a pack of their favorite cigarettes and a lighter with them. Each participant was asked to smell and rate a number of different odors that are generally considered pleasant (i.e. apple, peppermint, lemon, vanilla, etc) as well as unpleasant ones, tobacco smoke, and a blank (no distinguishable odor). The participants were then asked to light a cigarette but not smoke it. After 10 seconds of holding the lighted cigarette in their hands, the participants had to rate their urge to smoke from a scale of 1 to 100 before extinguishing the cigarette. The participants then inhaled a scent from a container that was either an odor they had rated as most pleasurable, the scent of tobacco, or blank. After taking one sniff, the participants had to again rate their urge to smoke. They continued to inhale the scent for the next five minutes, rating their urge to smoke every 60 seconds. Not surprisingly, the participants rated the odor of tobacco smoke from their preferred brand of cigarettes with the highest cravings score (82.13%). However, when inhaling a pleasant odor, the average craving scores dropped significantly (19.3%), compared to smelling tobacco (11.7%) or the blank scent (11.2%). The drop in nicotine craving lasts for as long as five minutes, which can be enough time for a smoker to decide against lighting a cigarette or leave from a high-risk situation. As to why a pleasant aroma might relieve cravings, the researchers believe that the scent may distract smokers by triggering memories associated with these cues. For instance, peppermint reminded one of the participants of childhood Christmas holidays. More research is needed to verify this hypothesis. “Our research suggests that the use of pleasant odors shows promise for controlling nicotine cravings in individuals who are trying to quit smoking,” concluded Sayette. The findings appeared in the Journal of Abnormal Psychology.